I love the light in this room, Mary and always look forward to seeing your photos from there! Such pretty azaleas and of cours lilies of the vally. A beautiful post. Beautiful flowers - Thanks for sharing them. Thanks for hosting . Your bouquet is a lovely combination. 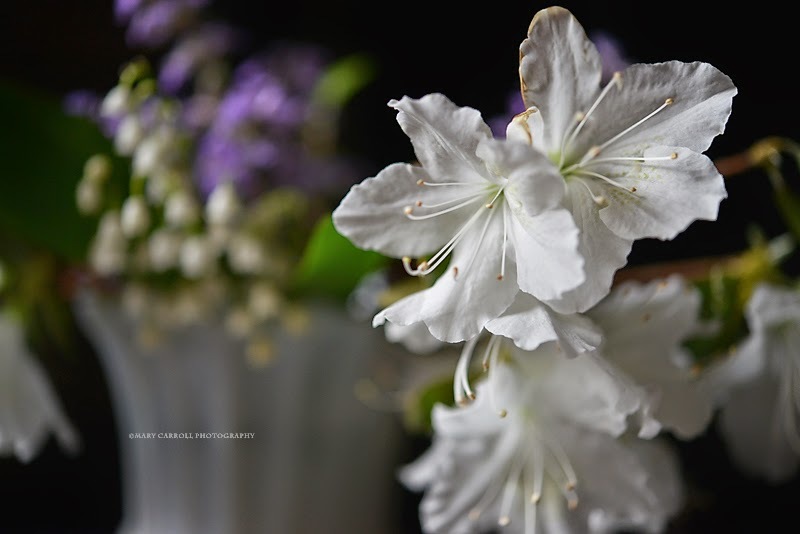 The azaleas are such a delicate shade of white. You do a wonderful job of photographing against a dark backdrop. Eleven trees - that's a lot to lose. Glad all is well. Very beautiful and creative, spring presentation! 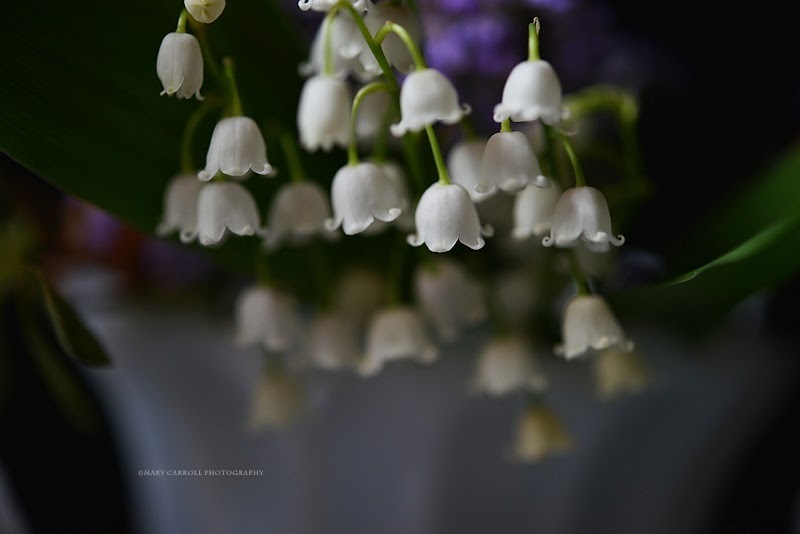 Lily of the Valley was my favorite flower as a child -- I can remember being so happy to spot them every spring -- and it was the first thing I planted when Bill and I bought our first home ... all that was a long long time ago and nowadays I never even see this wonderful little flower. It's too hot in Florida and apparently too late for it here in Oregon by the time we get back. Oops, sent too soon... thank much for sharing your beauties and for hosting this meme. I enjoyed your spring bouquet and was just looking at my lily-of-the-valley this afternoon. Mine is in buds but no flowers yet, and I eagerly await that wonderful scent too. Now I will have to try dark backgrounds. 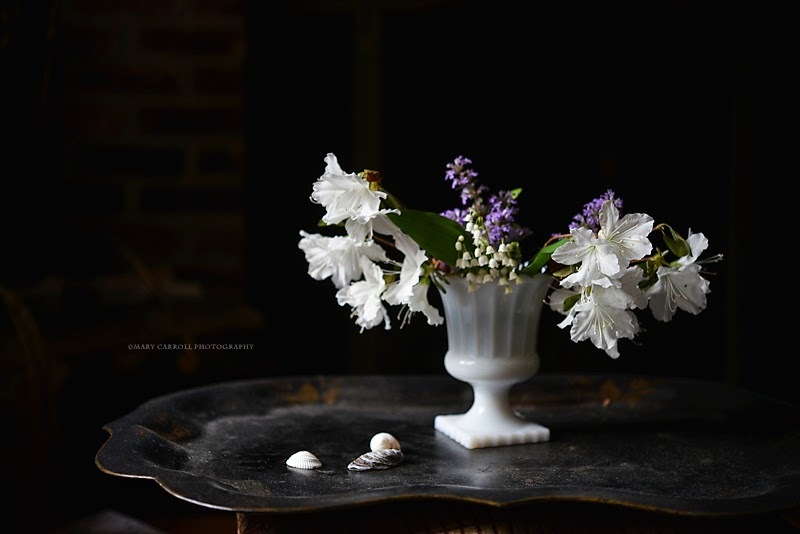 Your white vase with spring blossoms - such lovely detail against the black. Glad you had no house damage, that was a lot of trees down. Thank you Mary for hosting Mosaic Monday. Beautiful arrangement and shots, Mary! glad to hear that you had no lasting damage to your house. But what a shame to loose so many trees. I guess that is the way of it. Beautiful flowers in your images today. I am sure you are glad winter is over. Have a great week. It's good to have Mosaic Monday back this week. It seems odd after all this time not to start my week this way. What a time you've had! I hope you are all back to normal and that the remainder of spring will be kinder, and gentler in your part of the world. 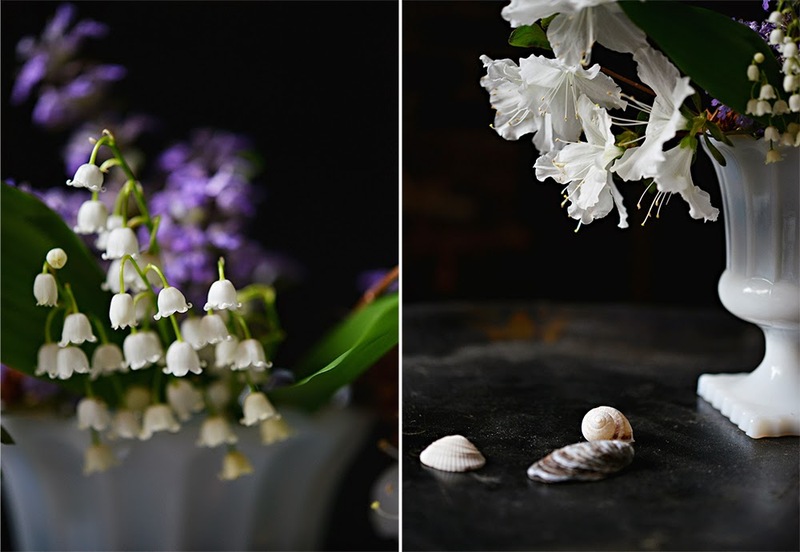 Your flowers are beautiful - particularly the lily of the valley. Again, thank you for creating this link-up! 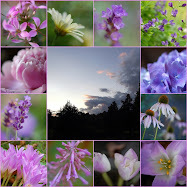 Mary, you created sensational photos with so few flowers! Awesome job! I am glad everything is over for you. That storm sounds terrifying. Glad to hear everything seems to have work out okay after your crazy weather last week. Glad you have your power back on! Your photos are lovely. I've never seen a Lily Of The Valley in person- so pretty. Thx for hosting. Hi, Mary...your flower photos are just amazing. Thanks so much for being such a loyal host each and every week. Hope things are going good for you and yours. I love lilies of the valley! They are so sweet and delicate. Oh my! I didn't realize how bad those storms hit your area! Mother Nature doing some pruning of her own and hopefully without further damage! I'm so glad you were all safe Mary. Those storms are very frightening at the time. 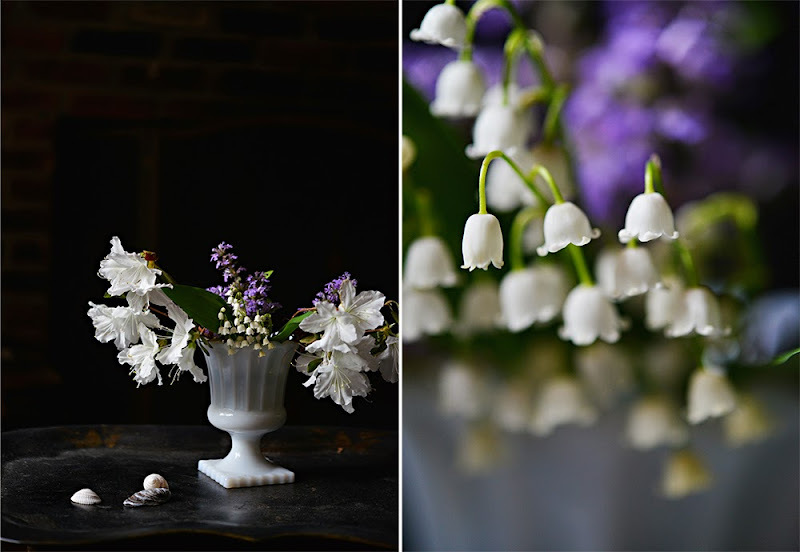 Oh what joy - Lily of the Valley is my favourite flower and reminds me of my darling mother. Beautiful images thank you Mary. Lovely, artistic photos...such pretty flowers! Glad to hear that y'all are ok and the damage minimal even though you lost trees.